Victory Day is one of the most sacred holidays for the Russian people. Russia commemorates on this day the dozens of millions of its countrymen fallen in World War II. Flowers and wreaths are laid on the wartime graves. The veterans whose number decreases unfortunately one year to another are honoured on the day of May 9. They come out into the streets wearing their military decorations and medals. The entire nation pays tribute to the eternal sacrifice that ensured its future. The celebrations take place in all cities and smaller villages of Russia for there is not one where people were not involved in the war, whose families were not affected by this tragic event. To commemorate the victory in the war the military parades are held in Moscow and other big cities of the Russia. The first ceremonial Moscow Victory Parade was held in the Soviet capital, on 24 June 1945. From late May to mid-July, find the days without night of St. Petersburg! Each year after many months of winter St-Petersburg has 50 days when the sun doesn't set, offering endless days for its inhabitants. This unique natural phenomenon called the summer solstice is explained by the geographical position of St. Petersburg. It is the most northern City in the world, located on the 60th parallel. For over 300 years, St. Petersburg has been taking the opportunity to celebrate the short summer as it must have and concerts and shows are organized everywhere. The atmosphere becomes truly magical, undescibable and unique. To walk along the Neva is usually very pleasant but during the White Nights of St. Petersburg it becomes a magical moment, especially when waiting for the raising of illuminated bridges of Baltic Pearl. Obviously this is a phenomenon that attracts tourists from around the world so do not wait for your turn and get to know a time considered as the most fantastic one of the year! During the course of the Northern War with Sweden, on 1st May 1703, the forces of the Russian Tsar, Peter the Great, captured Nyenskans, a Swedish fortress close to the Neva delta. As Nyenskans was small and badly damaged, Peter decided to build a new fortress city further down the river at Island of Enisaari know to Russians as Zayachii ostrov (Hare Island). Work on the Peter and Paul Fortress started a few weeks later, on 27th May 1703. The original clay walls and bastions of the fortress were completed by the end of summer 1703 under the careful supervision of the Tsar and his close associates. Initially comprising six bastions constructed of earth and timber it was later replaced by a stone building. This citadel never saw military action, but rather became the centre of the city of St. Petersburg - named after the apostle Peter. The Tsar conscripted serfs from across Russia to work on the city, which quickly grew around Trinity Square on the right bank of the Neva. 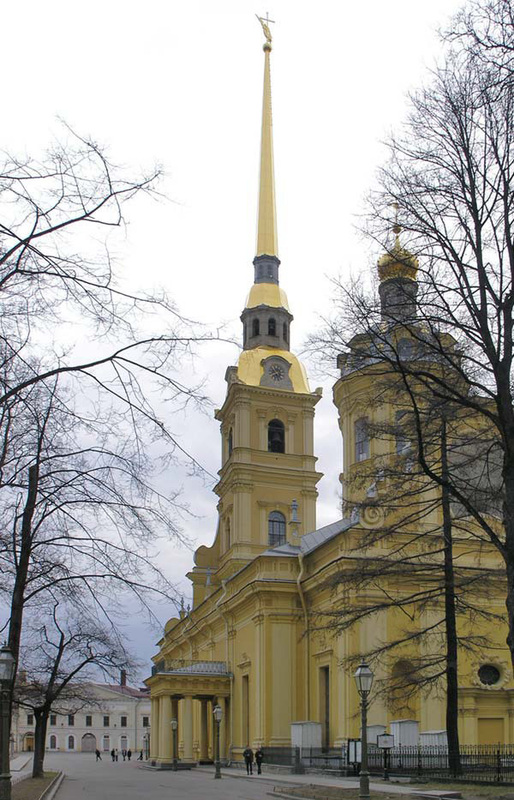 The city was the centrepiece of Peter's modernisation programme and as such he made it his capital in 1712, an honour the city enjoyed for over two hundred years up until 1918, except for one four-year period (1728-32) when Peter II made Moscow his capital. June 12 is the national day of the Russian Federation - the Day of Russia, one of the newest state holidays in the country. It has been celebrated every year since 1994. The First Congress of People's Deputies of the Russian Soviet Federal Socialist Republic (RSFSR) adopted the Declaration on Russia's National Sovereignty on June 12, 1990. Also on June 12, 1991, the first Russian president was chosen in nationwide free elections by secret ballot. A total of 106,484,518 people were on the voting lists on Election Day, and 79,498,240 of them, or 74.66%, took part in the voting. Boris Yeltsin won with 57.3% of all votes. The creation of the post of the President of the Russian Federation and the adoption of the new Russian Constitution reflecting the new political reality, along with the national flag, anthem and emblem of the Russian Federation, were major landmarks in the consolidation of Russian statehood. 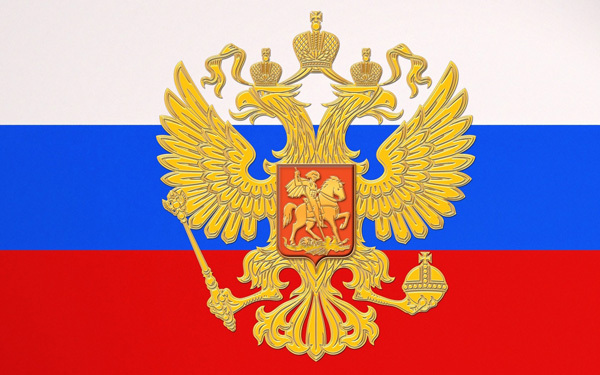 The country's new name - the Russian Federation (Russia) - was adopted on December 25, 1991. The day when the declaration was adopted - June 12 - was proclaimed Russia's national holiday by the Russian President's decree of June 2, 1994. Under the presidential decree of June 16, 1998, it was called the Day of Russia. The end of June is marked with traditional Scarlet Sails festival, a celebration of high school graduates organized by the city government. The tradition is highly popular for spectacular fireworks, numerous music concerts, and a massive water-show culminating with appearance of a tall ship sporting spectacular Scarlet sails. This tradition began in then Leningrad after the end of World War II, when several local schools united to celebrate the graduation of high school in connection with symbolism of the popular 1922 children's book “Scarlet Sails” by Alexander Grin. At the first celebration a boat with scarlet sails was sailing along the English Embankment and the Admiralty Embankment towards the Winter Palace. Although it was designed to update the rusty revolutionary propaganda, the "Scarlet Sails" tradition eventually evolved into a massive demonstration of freedom from "schools and rules" and became the most popular public event ever since, celebrating the start of new and promising period of life.